﻿ The Bellavista Hotel, Cebu | FROM $33 - SAVE ON AGODA! "its nice for the second time for this year." Have a question for The Bellavista Hotel? "The hotel with best hot water throughout our journey in Philippines." "Staff was lovely and the price is good for what you get." Located in Mactan, this simple and comfortable venue offers great deals for travelers cautious of their spending money. The Bellavista Hotel offers a decent selection of guestrooms and suites, each painted in a different color and decorated in a funky and elegant style. The suites feature luxurious artwork and décor to make your stay memorable. Guests can also enjoy wireless Internet access which is available in the lobby. If you are seeking the ideal base to rest in Cebu while saving up a few dollars, then you should consider The Bellavista Hotel. "With the three components together, affordable price, excell..."
A cash security deposit of PHP 1500 is required upon check-in for charges or damages during the stay and will be refunded upon departure. The property provides a pick-up service from the airport. Used this hotel as I had to wait 9 hours for my next flight. Much cheaper than the waterfront and its only 5 minutes away from the airport. It's an old hotel but its clean and comfortable and it did just what I wanted it to. We only stayed a few hours (overnight), using Cebu as a transit on our way to Camotes island. The location is convenient - only a few minutes from the airport as well as the ferry terminal. The check-in was hassle free though it was at an odd hour (well past midnight) and the breakfast was decent. Do consider it if you're transiting or not going to be spending much time at the hotel. But if Cebu is your main holiday destination you'll be better off looking for other resorts. I have stayed here one other time. I love their rooms. I love their kitchen staff. I think this hotel deserves more praise then they give themselves (posted signs apologizing for appearances while upgrading rooms.) We had an early flight and we were waiting/praying for an early check-in. We had our one year old daughter with us and we were very tired. The staff was very accommodating and as soon as another guest checked out they rushed to get us into our room. Just like most places in the Philippines the staff really do recognize the value of a customer. I just hope they didn't think i was too rude. (I was very tired.) YES! I do recommend this hotel to anyone who might be travelling. 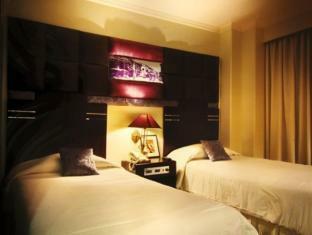 Located in a great location: near the airport, and also near the bridges to Cebu. location is near the airport(my main reason for staying), i did struggle from the very bad smell of the elevator, they badly need to do something about that... the hotel is quite an old one, maybe some general cleaning is needed, good thing im not travelling with my baby, the AC on our room is old and took awhile before we felt there was an AC, staff are friendly and helpful, and breakfast buffet is great. Me and my mother went there to stay for one night. And its nice for the second time for this year. But then again there's no bidet in the toilet. Hoping the management have find time to look on this. But overall its a great stay. We will book again. Good hotel for the money. 15 minutes from the airport. Easy access to the bridges to Mandaue/Cebu. 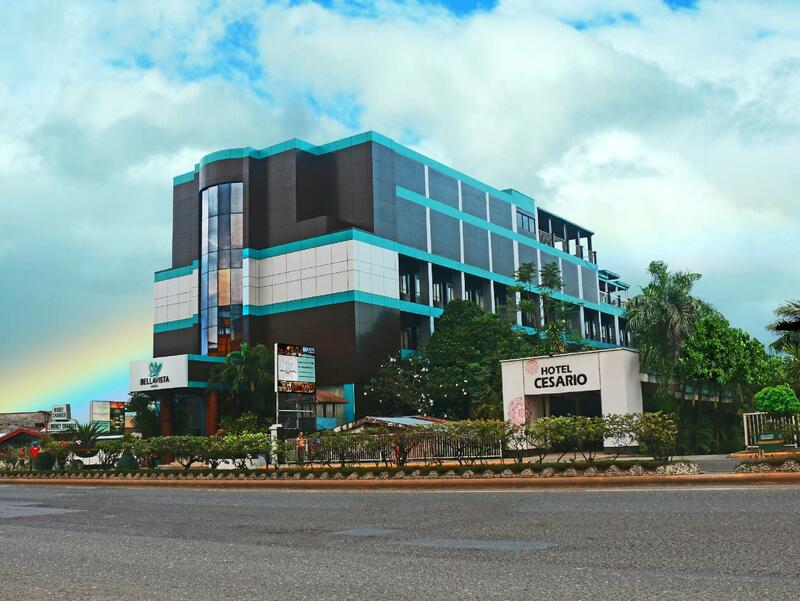 Gaisano mall is within walking distance or short taxi's ride which are easily available. Just ask the doorman and he will flag one for you. Free airport shuttle. Great free breakfast buffet for two each morning from 8:00-10:00 am. Clean rooms and bathrooms. Good variety of television channels. Overall a 7 out of 10 for me. We stayed overnight after a very late flight and it took 5 minutes to get here from the airport with no traffic. The room was decent - a bit tired but it's an old hotel. Staff was lovely and the price is good for what you get. It is a graceful old hotel in a great location. The staff are wonderful and helpful. The only criticism I have is that our room had ants and a couple of cockroaches. I did suggest periodical fumigation of all room to the staff upon my check out. I don't mind if the hotel is old and under some renovations but I was really disappointed with the room that was assigned to us. I'm not sure if it's the carpet but it stinks everywhere inside the room. It was also dark inside the room as there were no main room light, only a side table lamp, a big lamp at the corner of the room and two light bulbs along the entrance area. The wifi never worked for us. The elevator stinks!! And the old CENTRALIZED AIRCON barely made our room cold enough to get a comfortable sleep!! I appreciate their lobby attendants as they were really professional and nice however I will not recommend this to any of my friends or relatives because there are a lot of other options in mactan that can offer better accommodation experience and better facilities at the same/cheaper price. BTW, their breakfast buffet is ok because they served bacon. Old but clean. Breakfast buffet has many choices. Some staff were not very pleasant - reception. At the suggestion of my partner, who wanted to avoid traffic issues in Cebu on our way by air back to Luzon, we chose this hotel. It was deceptively nice. On the plus side, the overall plant was visually appealing. The staff, especially a lovely Filipina named Cynthia, could not do enough. The buffet was excellent, along with the beds. Sadly, the grade plummeted rapidly, as there were vermin running around inside the ceiling. The in-room coffee service that was supposed to be provided, wasn't. There was no hot water for bathing. The coffee shop, restaurant, pool and the separate charge gym were all closed. The gym equipment looked in disrepair. The slim food offerings at the Mactan Convention Centre, adjacent to a local shopping mall, were only reachable by vehicle. If a traveler with low expectations is desperate for a place to sleep before flying, stay here. If not, there are tons of better options in the Cebu-Mactan area. Grossly overpriced for what we got. Stupid move! Grade: D.
Free Shutle service super,alles Toll! I have stayed at the Bellavista 3 times. It's getting a bit dated, but always clean rooms, spacious, good sized bathrooms and a good breakfast usually included at a reasonably low nightly rate. The pool is nice and the view at night from this area is nice. The hotel food is good and not expensive. The mattresses are not really great, but I slept ok. The aircon makes sleeping easier without the extremes of heat or cold. I will probably be back. It's still one of the better low priced hotels in Mactan. Just what we needed prior to our flight back to the U.S. location is perfect. Loved theswimmkng pool on the fifth floor, all meals we had were just great. Thanks for a wonderful stay over. Oh also no charge on shuttle to the airport. It is located only a couple of kilometers from the airport and they even have free airport shuttle service. The room is nice but a little dark. Breakfast is okay. There is a nice souvenir shop in the lobby. I have lost count on my Bellavista stays. They have changed the WiFi. not as simple as before. the staff failed in connecting me but my wife succeeded. As always. Turn the hot water tap on while you sit on the toilet. The hot water will reach the faucet by the time you're finished. Remember I told you so. Highly recommended. Location. Friendly and helpful staff. Excellent restaurant and Pool. We like this hotel very much. It is next to the airport (2 mins) and the staff are very good. We love the breakfast here, but I feel that the daytime restaurant foods and room services are a bit overrated. It took almost an hour to receive a Pork Sinigang to our room, and the restaurant service was also a little slow (30+ mins) and slightly more expensive than the local competition. Food was good ~ 8/10. Rooms are lovely. Always clean. Not very spacious but just about right for the money.